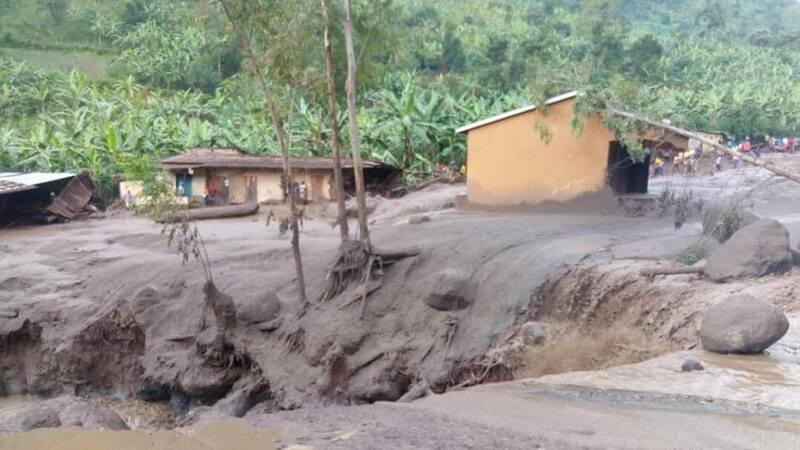 Bududa landslides take Gov’t unaware again! BUDUDA– Landslides have struck Bududa once again and as usual caught the government off guard. Local people used hand hoes and sticks to dig through mounds of mud in a desperate attempt to rescue their loved ones and in search of bodies to give them a decent burial. In 2010, 2012, 2013, 2016, 2017 landslides struck Mt Elgon in Nametsi, Sisiyi, and Bumwalukani, killing over 300 people but in all these disasters, government was caught off guard. The ministry of disaster preparedness drove to Bukalasi sub-county, landslide scar on October 12 with blankets, tents, maize, beans, Jerry cans and other household items making the role of the ministry of disaster preparedness, a mockery. Although government is aware that cultivation and construction on the slopes of Mt. Elgon by the large population has depleted the mountain of its vegetation cover making it susceptible to mudslides, there is nothing it is doing to end this. The Assistant Chief Administrative Officer Mr Sam Nasambwa while addressing people said government is just waiting to send maize flour and beans after each disaster which he added is not a very useful intervention or a step to finding a workable solution. “Government must find a lasting solution for people living at Mt Elgon area but not to just give them posho whenever there is a disaster,” said Mr Nasambwa. The local people insist that they are waiting to be asked for information on landslides in their area [Bududa], specific information on areas vulnerable to landslides, and guide disaster ministry on how to perform appropriate hazard assessment, and corrective measures to be taken but that nobody has ever talked to them. Mr Wilson Watira, the LCV chairman for Bududa district said there is nothing on ground to help people during times of disaster. “Government is aware that this is a landslide-prone district but there is nothing they are doing about it. It is the usual common song of relocating the people which shortly disappears as landslides keep off,” said Mr Watira. 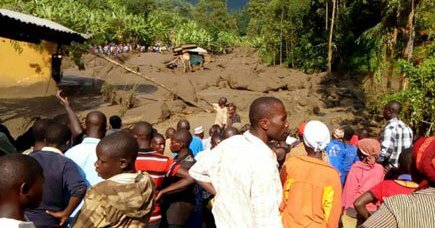 And like in 2010, 2011, 2012, and 2013, the commissioner of disaster management and preparedness, Mr Martin Owor has again promised that government is prepared to evacuate people from the landslide-prone areas at the slopes of Mt Elgon. “And we are asking friends, relatives who are living down the valleys in relatively safe area to allow the people who are living in the steepy landslide-prone areas to stay with them,” said Mr Owor. But he consented the ministry does not have money for the disasters while speaking on UBS TV in the morning of Friday, October 12. Mr Owor revealed that government has established the national platform for early detection prevention, mitigation, management and a guide to disaster risk management n educational institutions in Uganda. 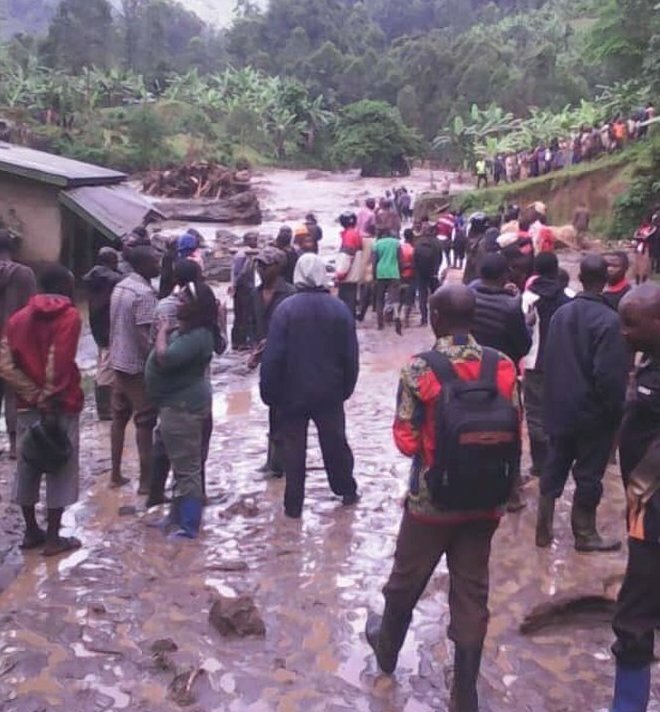 But the National Environment Management Authority [Nema] and Uganda Wildlife Authority (UWA) have warned of small mud flows observed on Mt Elgon with many water openings. Mr Fred Kizza, the Mt Elgon area manager [UWA] said these openings are an indication that the rocks are under tension and that some small cracks formed due to bad farming practices, foot paths as well as road construction on the slopes make Mt Elgon prone to landslides anytime it rains. Rather than waiting for disasters to occur then give beans and maize flour [Posho], the government needs to seek a more sustainable solution to solve the people’s plight but waiting to send maize flour and beans after each disaster is not a very useful intervention or a step to finding a workable solution. Majority of households feel that both their communities and the government are unprepared to respond to disasters. And given the likelihood for recurrence of natural disasters in these communities, expansion of both community-based disaster preparedness (CBDP) programs and their evidence base should be prioritized. The government through the disaster ministry should also start climate mitigation lessons in the communities to equip the people with the knowledge of land use to reduce the escalating landslides around the area. Disaster preparedness involves planning and preparation to effectively respond to any disaster situation and this includes implementing capacity development, coordinating the participation of responsible organisations, individuals and volunteers and ensuring that all personnel are equipped for response. Nevertheless, disaster management in Uganda is still lacking and large gaps in disaster management have been reported following disasters in Bududa to the level that there is usually no money for this. The disasters usually take government unawares, they are often confused, disoriented or left to work without prior guidelines during landslide strikes, an indication that there is infrequent training and unclear staff training modalities in disaster plans designed and implemented by OPM.